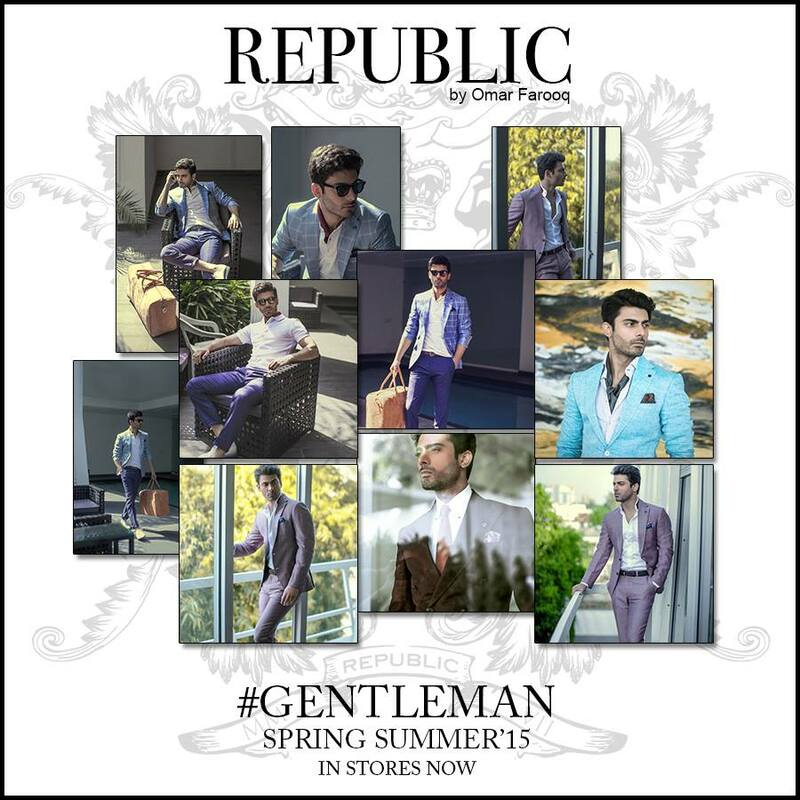 Republic one of the major brand of Pakistan that has first arrived in the fashion community since 2007. 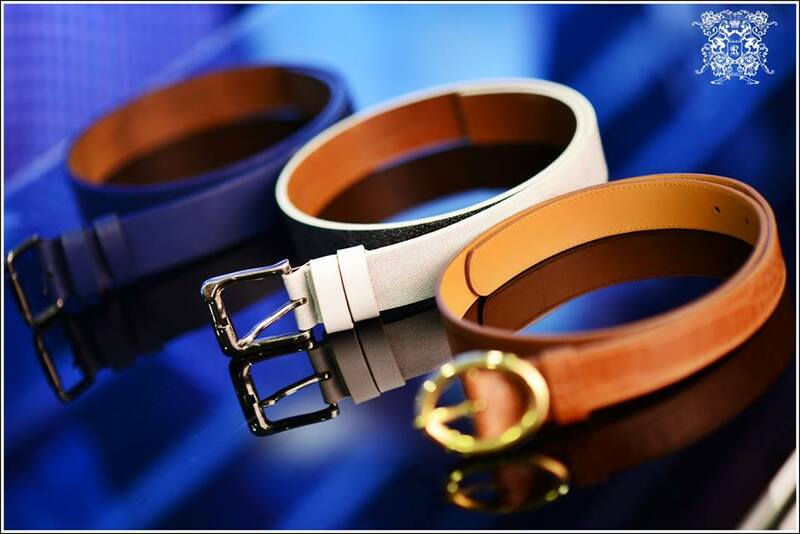 From up till now it is gained huge fame and response from its beloved customers due to designing remarkable pieces of clothing. 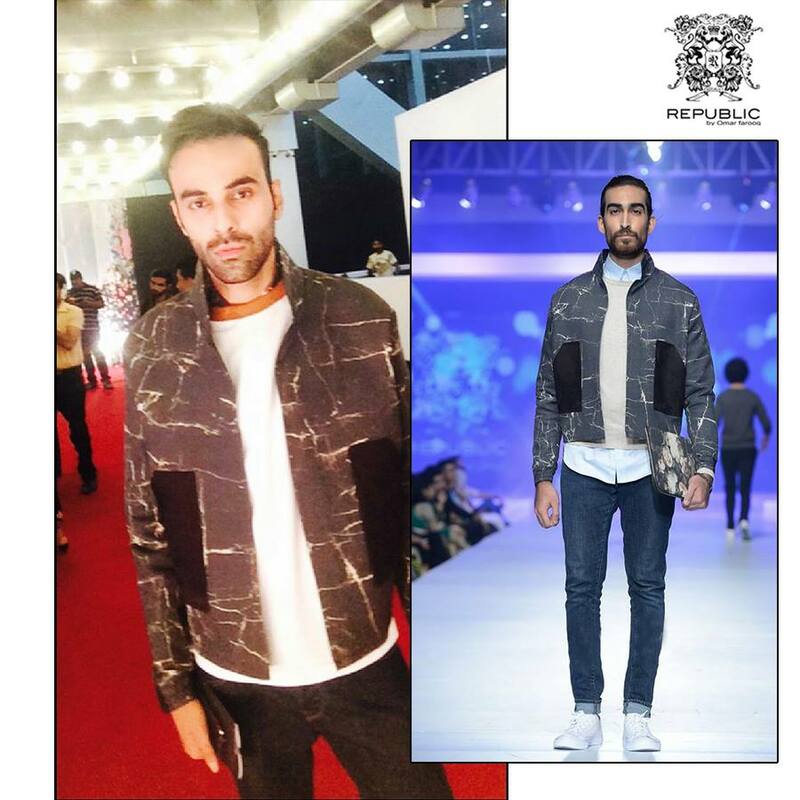 The owner of Republic is talented & skilled fashion designer named Omar Farooq. 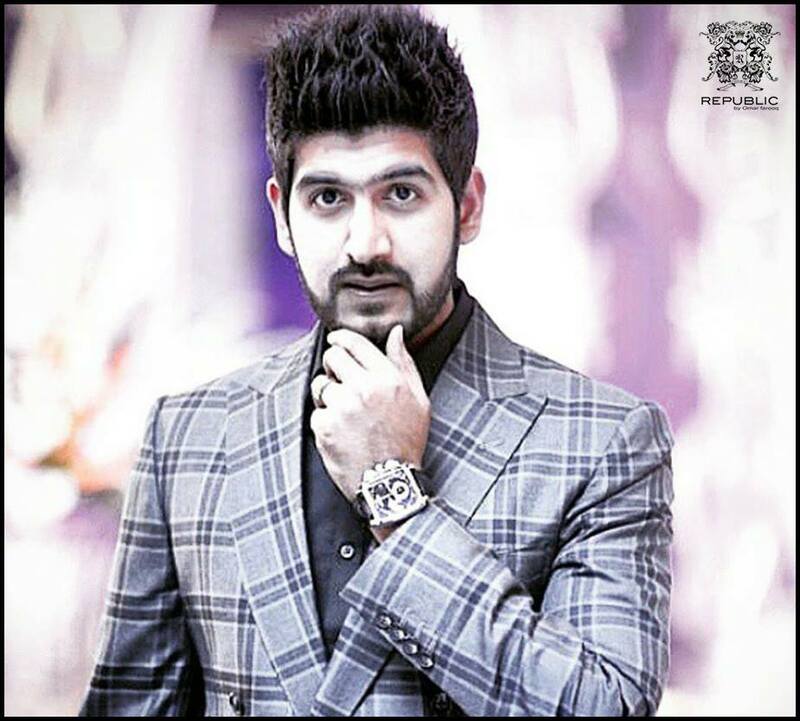 He is the originator and creative designer of this terrific brand. 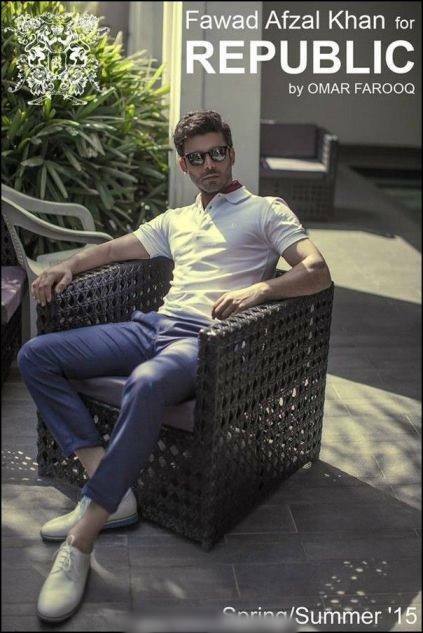 This prominent brand deals with men clothing and offers seasonal as well as occasional collections for men including spring summer, fall/ winter, Eid formal, party wear, wedding, etc. 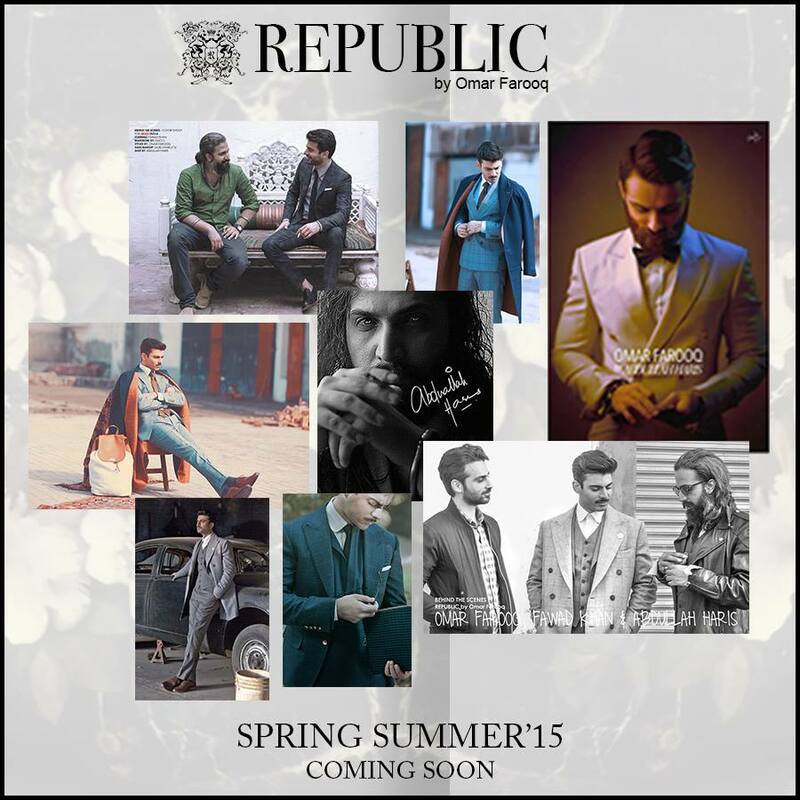 In this season, Omar Farooq has launched Republic Spring Summer Collection for Men 2015-2016. 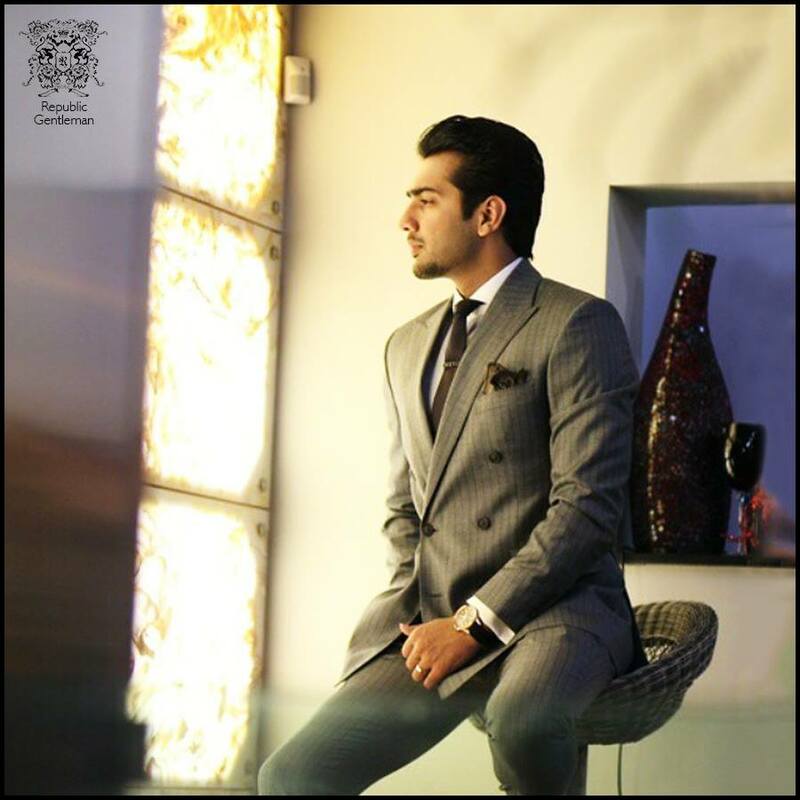 This assortment comprises of Men formal and party wear suits including three pieces, two piece pant coats. 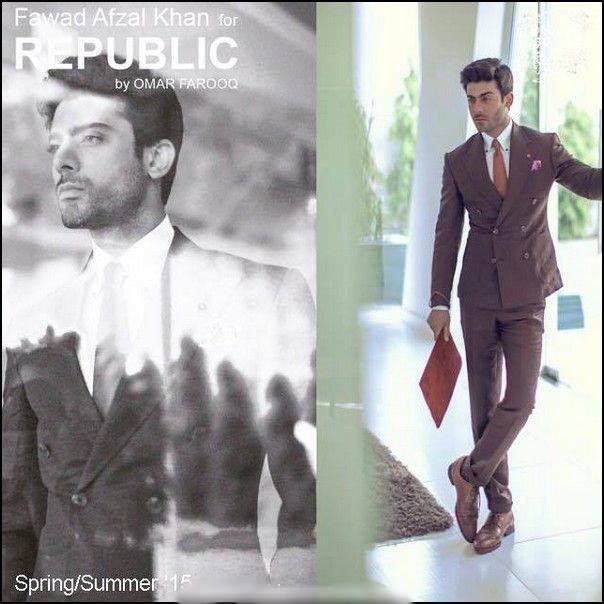 Your heart favorite most famous model & actor Fawad Afzal Khan is the brand ambassador of Republic by Omar Farooq this year. 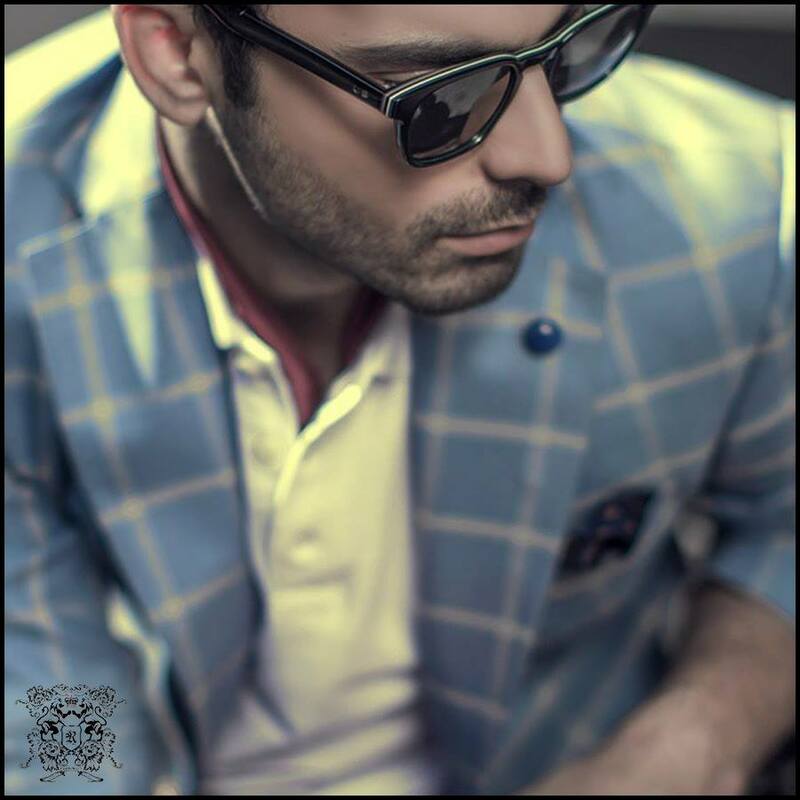 This whole collection goes for stylish men three piece suits designed with modern trends & cultures. 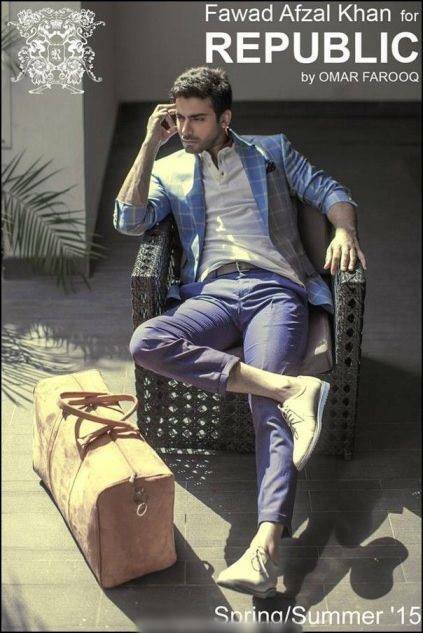 The pants are not just simple dress pants but also have casual abstracts. 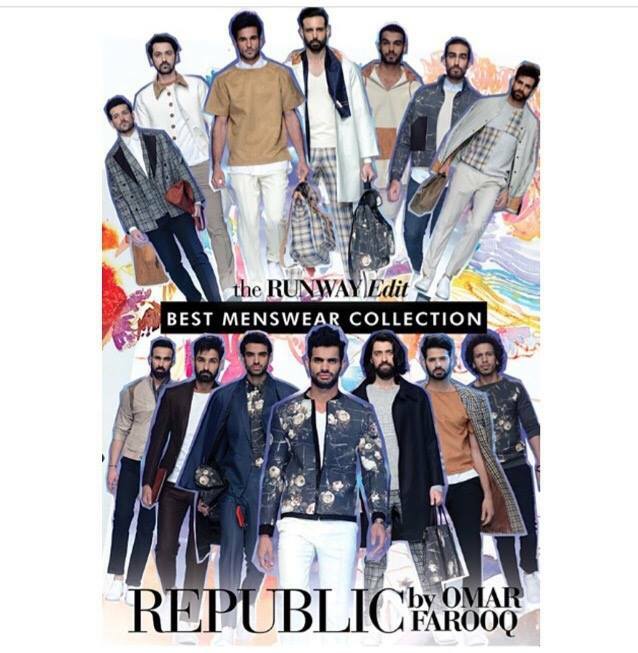 Designer Omar Farooq has given a smooth touch of international standard apparel to urban men of Pakistan by showcasing this assortment. The dress shirts have checked, lining, polka dots and different floral designs. 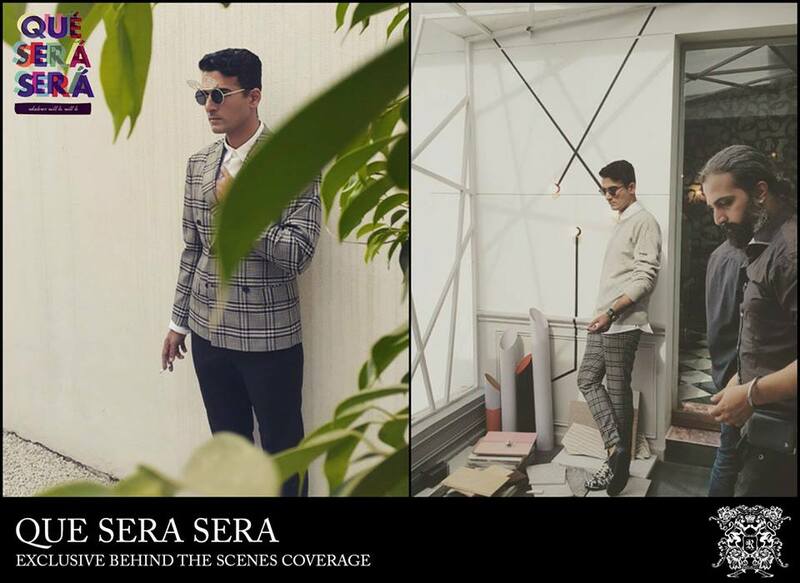 Same as talking about coats & jackets, they have a modern urban look inspired from different western/ American brands. 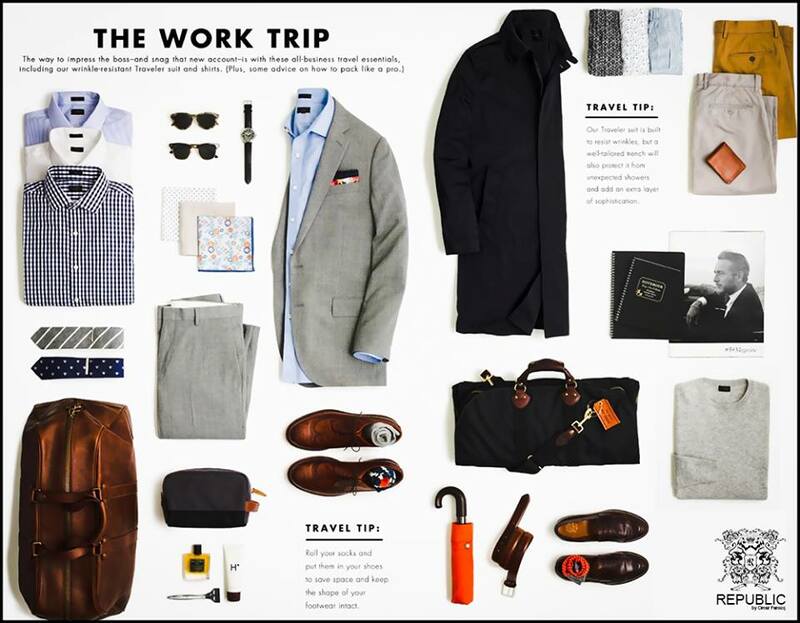 The collection includes pants, shirts, coats, ties, trousers, suiting and many more. The fabulous intended Blazers give you a real gentleman look and a perfect way for your summer events, meetings, and parties. 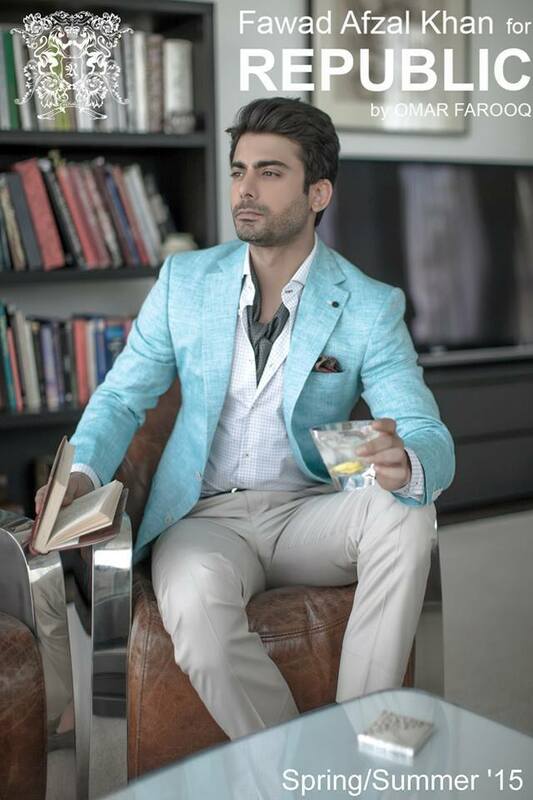 Now it is the desire of every man to look good and decent. 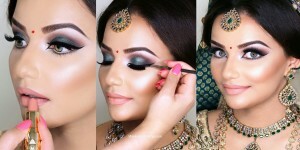 Going for the right dress is the first step towards your physical personality. 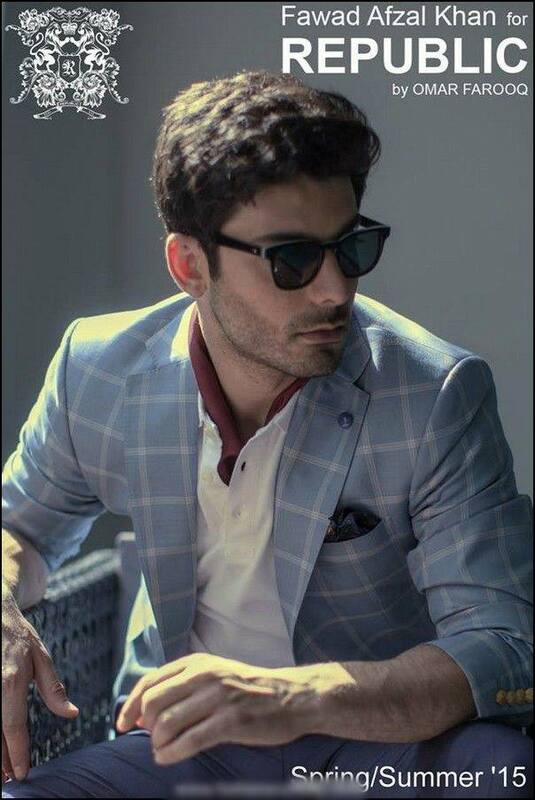 Mostly men follow the top models and adopt their dressing styles like Fawad Khan, he looks so handsome in Republic S/S collection 2015. 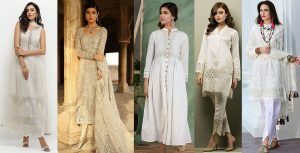 All the attires in this series are so graceful and features the modern fashion trends and styles of this era. 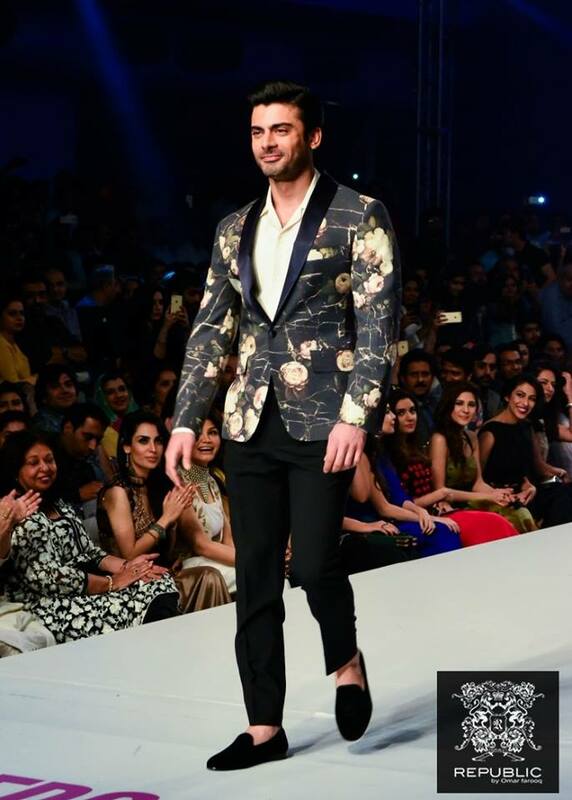 The stuff utilized is high quality and perfect tailoring is seen in these outfits. 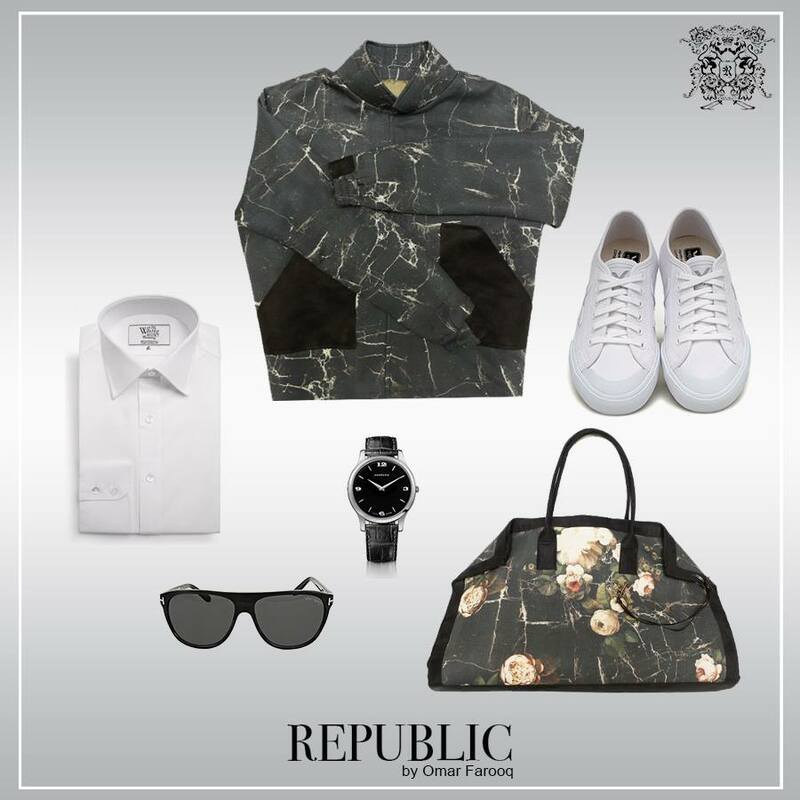 So, men get prepared yourself this summer to rock catching this classy dress collection. Colors are so eye catching and appealing, they include sky blue, off white, black, dull brown, gray, orange, beige, sea green, etc. 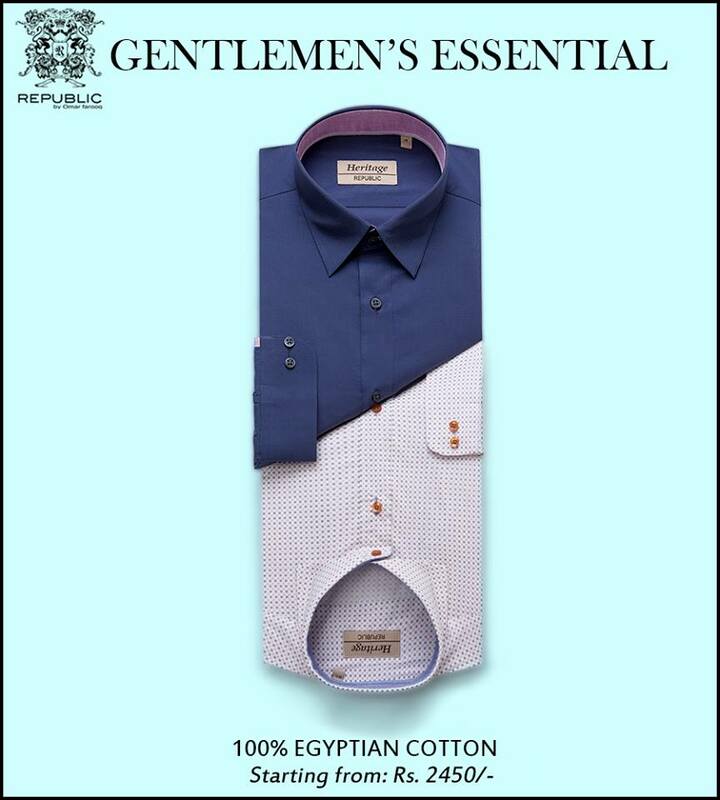 The shirt designs also consist of plain ones for three-piece suits. These series also have ties of printed and plain designs. 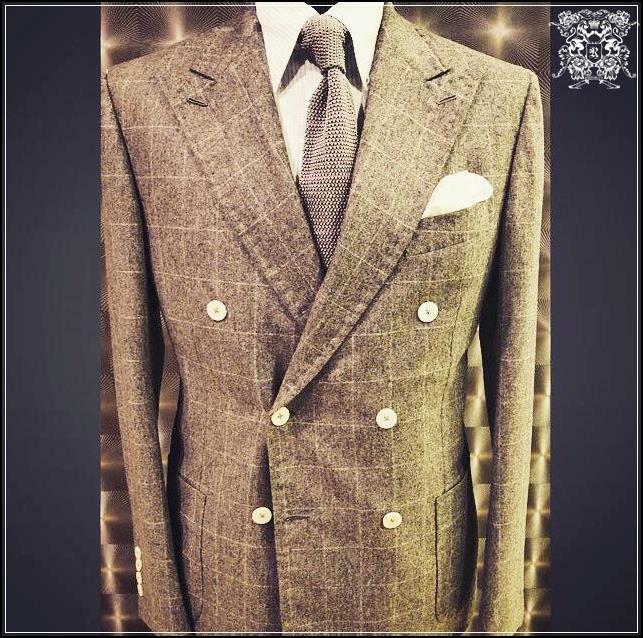 You can add a matching tie with it, this will give you a complete gentleman look. 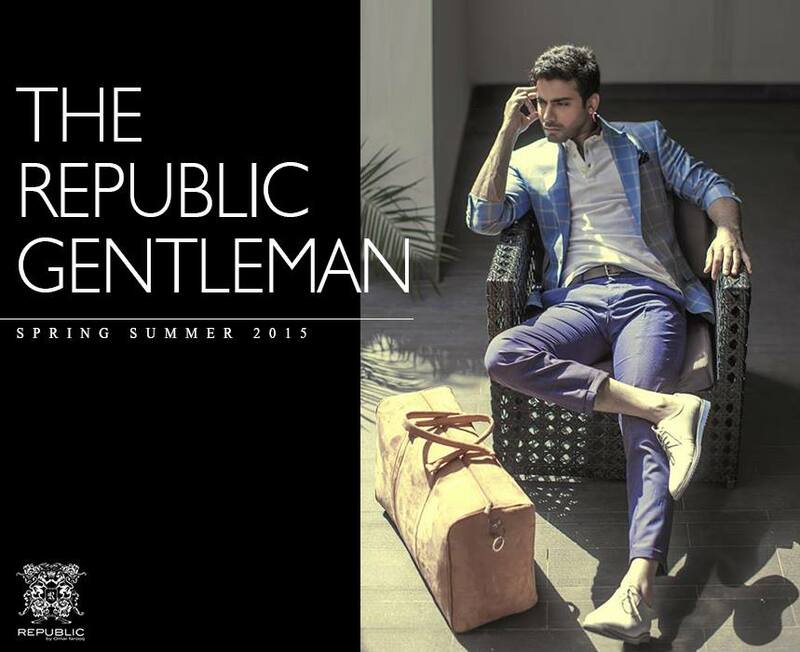 Due to such sophisticated collections and artistic designs, Republic is getting famous among men than any other brands. 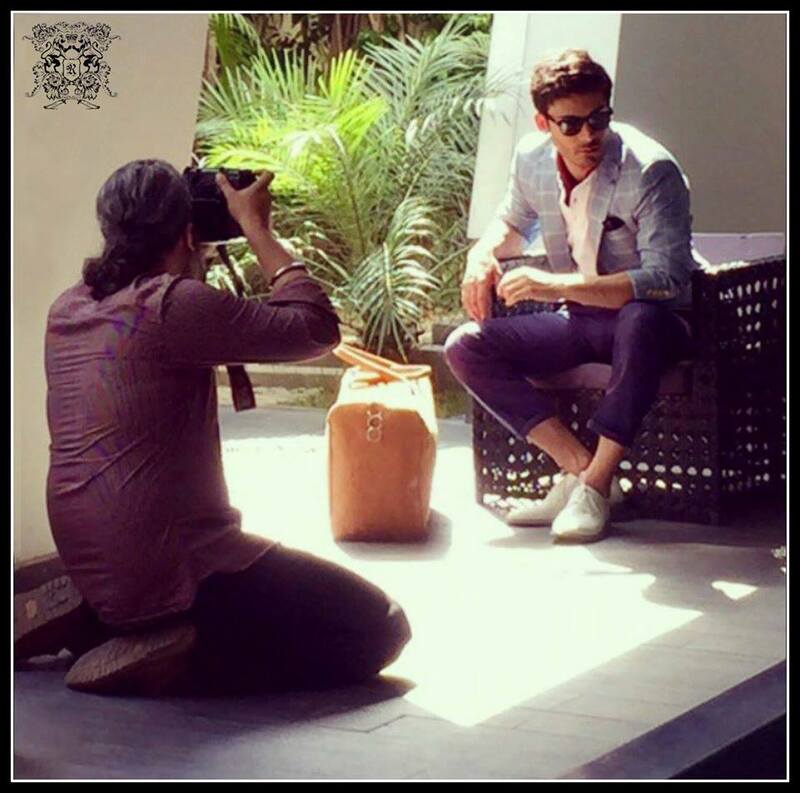 Hoping so that soon it will certainly be the top most menswear clothing brand of Pakistan. Below posted is the picture gallery of this collection, have a look at them and get inspired by the latest designs. Hope you guys will love every single piece of this assortment.